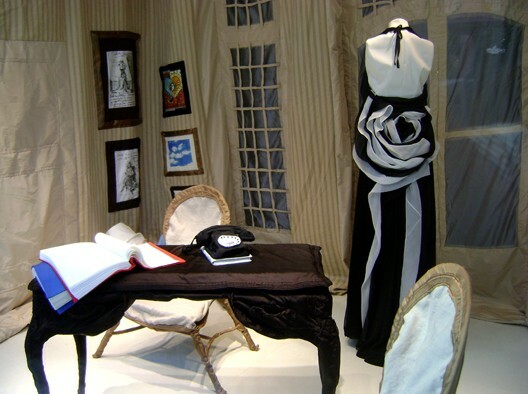 The New york shop of Moschino showed a Dali inspired windowdisplay this year. Soft furnishing as a salute to the man and his surrealistic art. 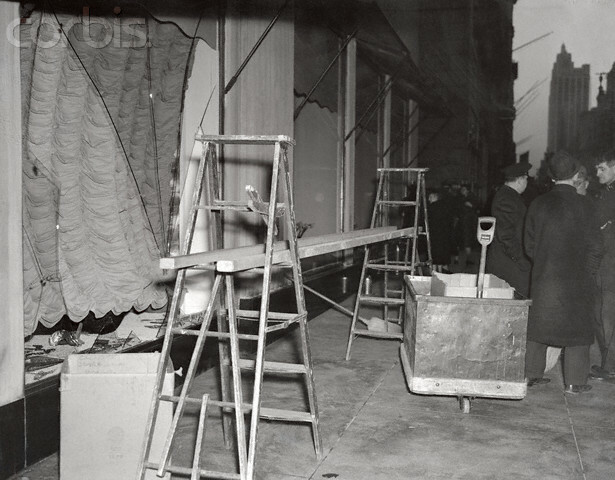 It was summer, 1939, when Dali was asked to design a window display for New York 5th Avenue, department store, Bonwit Teller. They may have gotten more than they bargained for, but management might have anticipated the interest the window would create. Salvador Dali was at that time, one of the most famous and notorious painters of his day. The theme of the display was Night and Day. But here no ordinary depiction. A four-poster-bed covered with black sheets, scarred with burn marks, symbolized night. The canopy over the bed was a buffalo; in its mouth was a pigeon dripping blood. The feet of the bed were the four feet of the buffalo. Across the bed, covered in cobwebs and dust, lay a wax mannequin, its head propped up on artificial burning coals. occupied most of the window. A mannequin in a voluminous ball gown was stepping into the tub, her features reflected in a mirror held in front of her by two wax arms that reached up from the floor. Flowers sprouted from every available surface of the display. Once the display was set up, Dali left the store for the night. But when he returned the next morning, he could not believe his eyes. 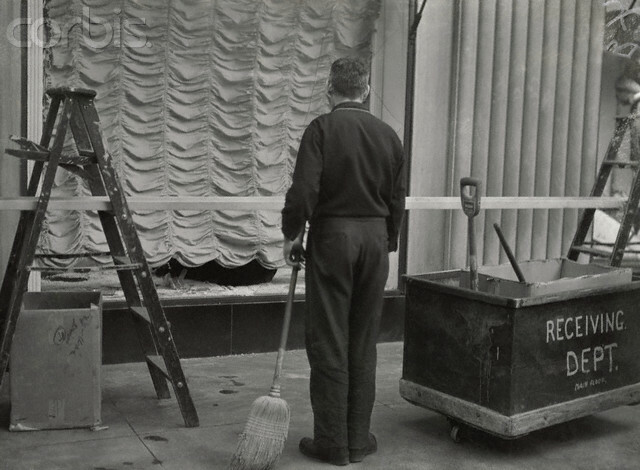 His precious work had been tampered with by an overzealous employee concerned that the window display did not focus on the ballgown. The bed had been removed, the decor altered, and the wax mannequin stepping into the tub had been repositioned so that her gown could be seen to better effect from the street. Dali felt that the whole display had been ruined. So enraged was Dali that, without waiting for an explanation, he stormed through the store and forced his way past the store assistants into the window display. In protest he tried to overturn the tub of water, but his foot slipped. In the ensuing melee, Dali and the bathtub crashed through the plate glass window out onto the sidewalk, showering the watching crowd with cold water and splinters of glass. The police were summoned and Dali was arrested on charges of wilful destruction. Brought into court, Dali was given a suspended sentence.